Since 1995, the fully accredited Childhelp Children’s Center of East Tennessee has served victims of child abuse and neglect through advocacy, treatment and investigation services. Walls adorned with bright colored murals, a playroom filled with toys, and a dress-up closet develops a sense of safety and happiness in victims. There were more than 8,000 substantiated cases of child abuse in Tennessee in 2014, illustrating an indisputable need for the advocacy center. The center supports all services to treat and investigate abuse under one roof: medical personnel, law enforcement, child protection investigators and mental health professionals. The professionals all complete their related jobs within the center, reducing secondary trauma to the child and producing reliable evidence to support cases against perpetrators. Many children who enter the center are scared, confused and have difficulty trusting those who are trying to help. Therefore, a victim advocate will assist children through the process and explain each step of the process. The child’s first stop is to meet a forensic interviewer trained to work with children and victims of abuse. After the interview, children may also receive a medical exam to gather evidence, decide what kind of medical attention is needed or assure parents that their children do not require additional treatment. Prior to advocacy centers, investigations and interviews could take over 16 hours, and children would have to recount their traumatic experience in places that were rarely comforting for a child. Victims and their families also receive mental health treatment to help them understand what they are going through and give them the strength to move on. Furthermore, court preparation is also one of the critical services provided by the center because dealing with a court case is very traumatic and stressful for a child. Community members and agencies recognize the crisis of child abuse and united through partnerships to heal victims and fight abuse. The partnerships that allow children to heal while keeping them safe from perpetrators at the center are: Tennessee Department of Children’s Services, The East Tennessee Children’s Hospital, Knoxville Police Department, Knox County District Attorney’s Office, Knox County Juvenile Court and Knox County Sheriff’s Department. Each child who receives services at the Childhelp Children’s Center for the first time will receive a new toy or other gift. Partnership with the Knoxville Museum of Art provides children with the opportunity to be exposed to artwork. Highly skilled staff with superior specialized training in the field of child trauma care, child abuse investigation and therapeutic counseling. The only child advocacy center for Knox County, a “one-stop shop” of services for children including medical exams, mental health services, victim advocacy and forensic interviews. 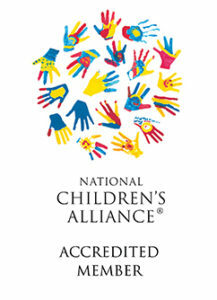 A fully accredited member of the National Children’s Alliance, a national accrediting body for child advocacy centers. Provides forensic interviews and medical exams for some surrounding counties that do not currently have those capabilities. 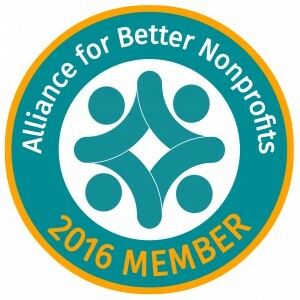 Partners include local and state agencies and elected officials. Childhelp holds a Mental Health license with the State of Tennessee.